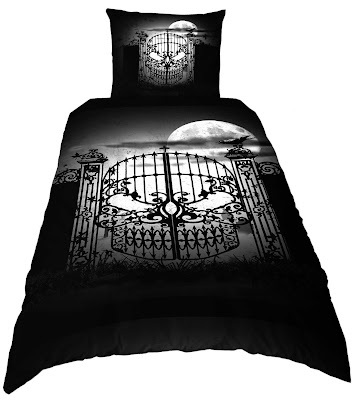 Decorate your bedroom darkly with duvet covers and bedding sets from Alchemy Gothic. 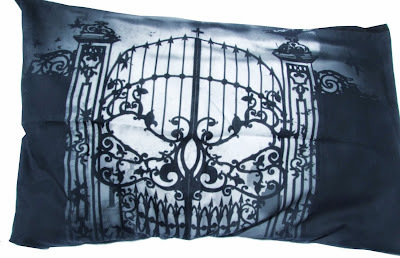 Abandon No Hope features a wrought iron cemetery gates with full moon theme. There is a single duvet set with coordinating pillowcases. The design also comes in a king duvet set. If you like to have a hell of a lot of extra pillows on the bed (I certainly do) you can add some matching twin pillowcases. 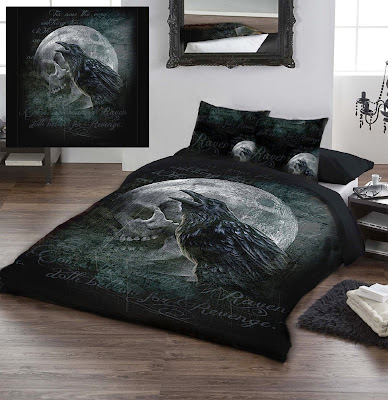 Alchemy Gothic's "Raven's Curse" bedding features a full moon with a skull face, with a huge black raven imposed over it. 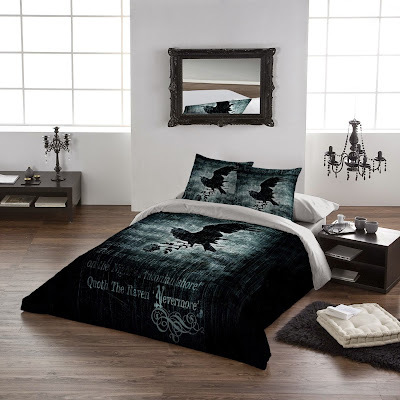 Alchemy Gothic are also responsible for this Edgar Allan Poe themed bedding set, "Nevermore." 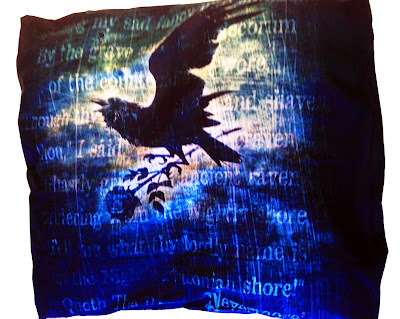 "Nevermore" features a raven with a black rose, over a black and blue background, with text from the poem written out at the end of the duvet. 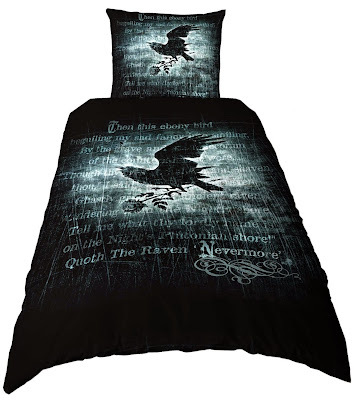 You can buy matching Nevermore twin pillow cases too. "Name of the Rose" is part of Alchemy Gothic's "Black Rose" artwork collection. This bedding set features a black haired woman wearing a gothic gown, holding up a chalice or goblet. 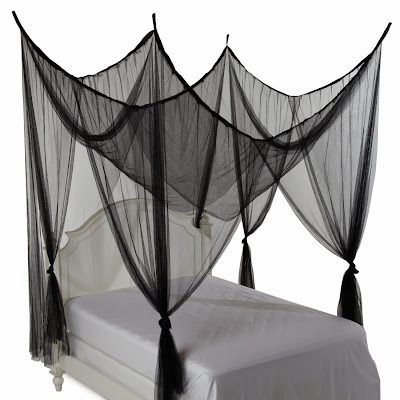 Any of these bedding sets would look darkly elegant if accessorized with this black four-poster canopy.